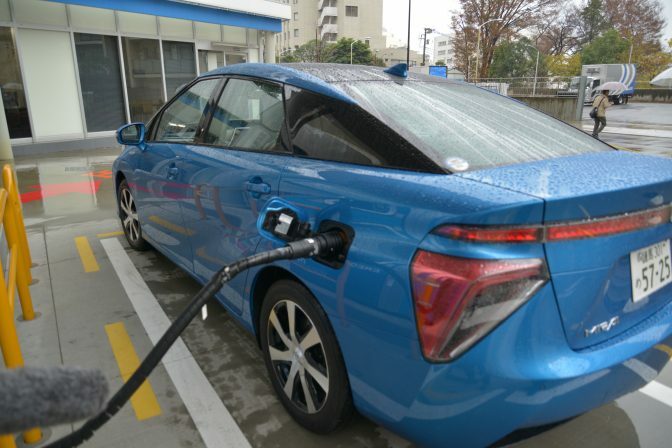 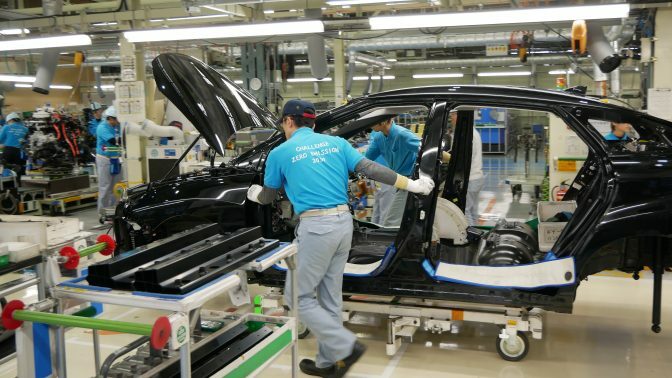 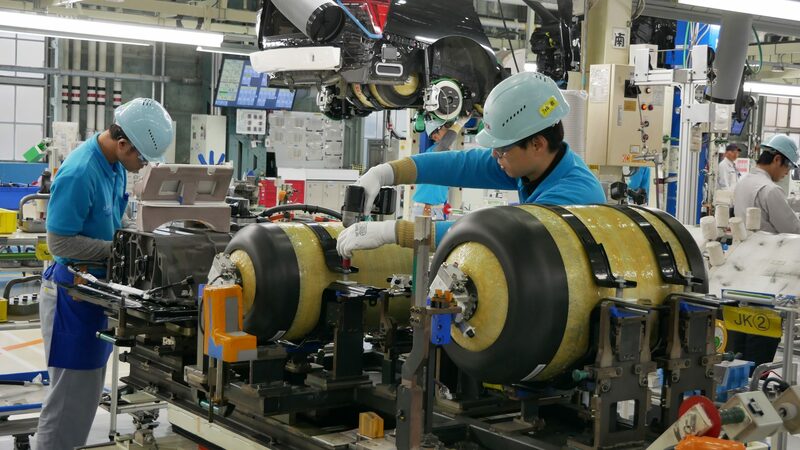 At Toyota's LFA Works factory in Japan, workers install hydrogen fuel tanks in a new Mirai. 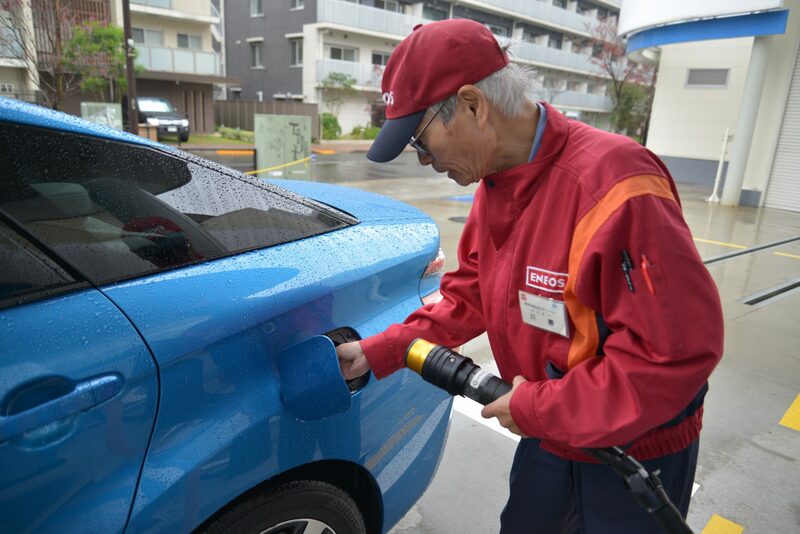 Hydrogen fuel station attendant Ken Kawakatsu fills the tank with hydrogen gas cooled to minus 35 degrees celsius. 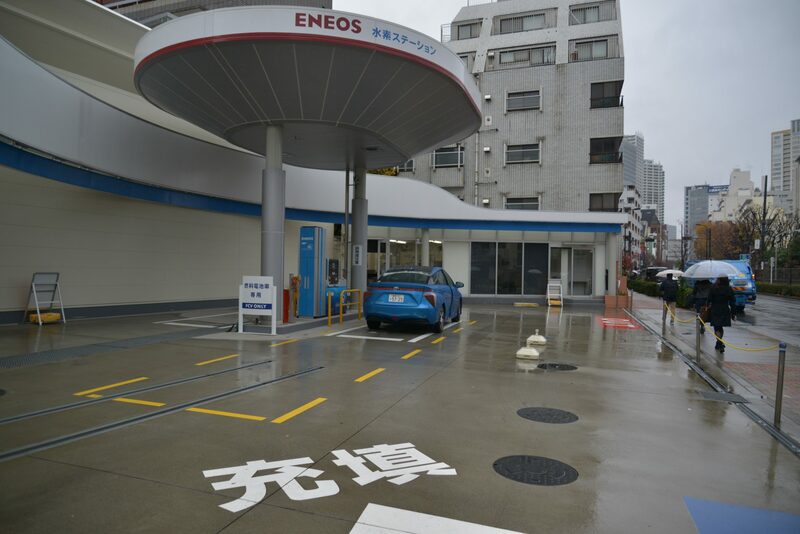 He says this Tokyo station gets about a dozen customers a day.